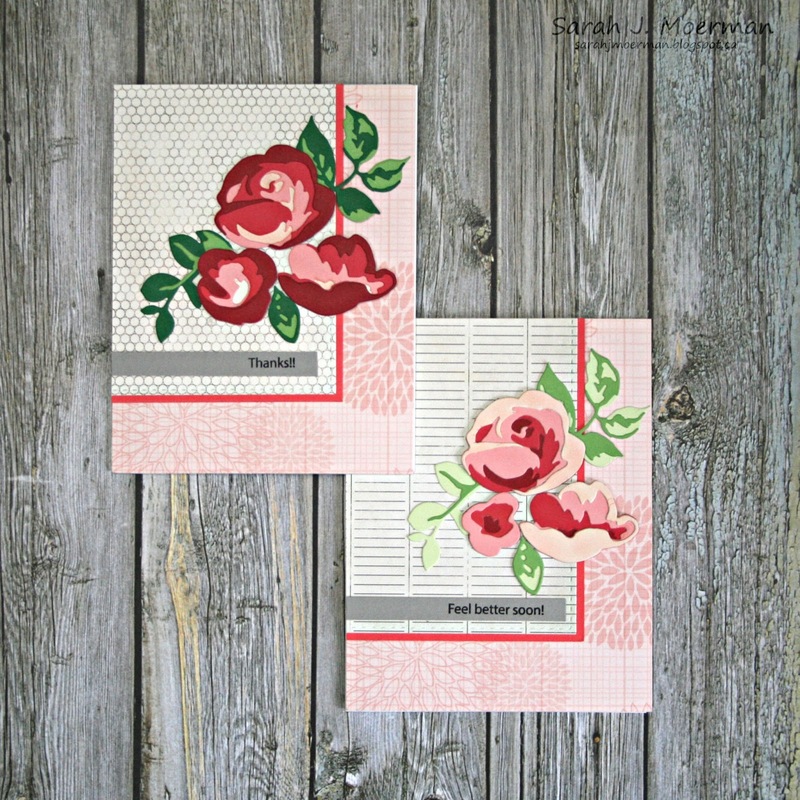 I'm stopping by to announce the winner of the SOLD OUT Simon Says Stamp June Card Kit and share a set of cards I made with the Altenew Rose Flurries Dies. These cards were so fun to make and the roses were a great way to use up scraps of cardstock. 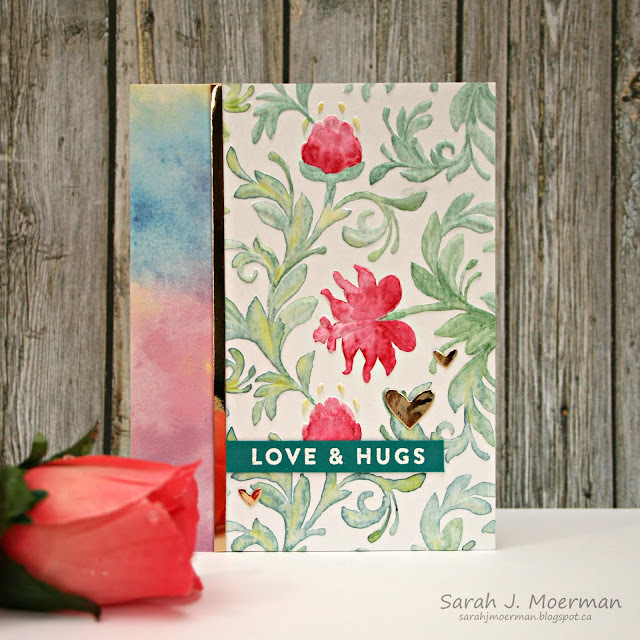 First I gathered 4 shades of each colour I was working with for the flowers and die cut the pieces so when stacked they would gradually go from light to dark or from dark to light. I did the same with the leaves using 2 colours for each leaf. There were a few shades that I didn't have cardstock for so I inked up white cardstock with either an ink pad or Copic Markers before diecutting. 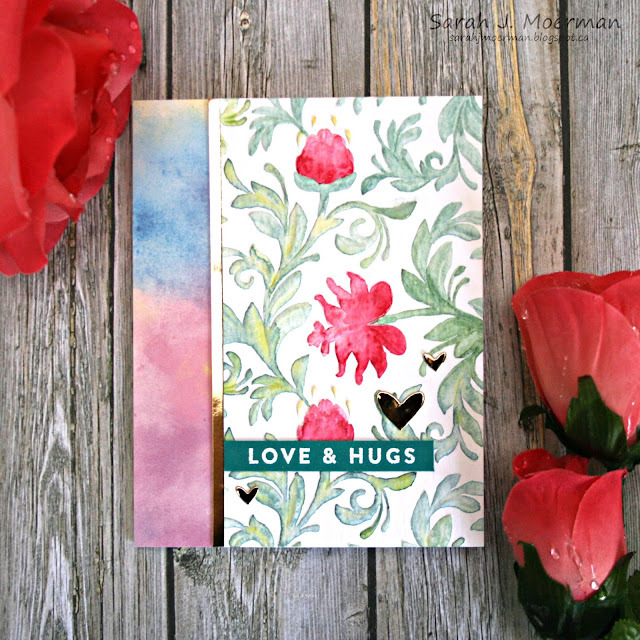 For the cards themselves I chose a coordinating background patterned paper to cover my notecards with. I diecut some subtle black and white patterned papers with the rectangle from Simon's Bundle of Stitches Dies and matted these pieces with coloured cardstock. 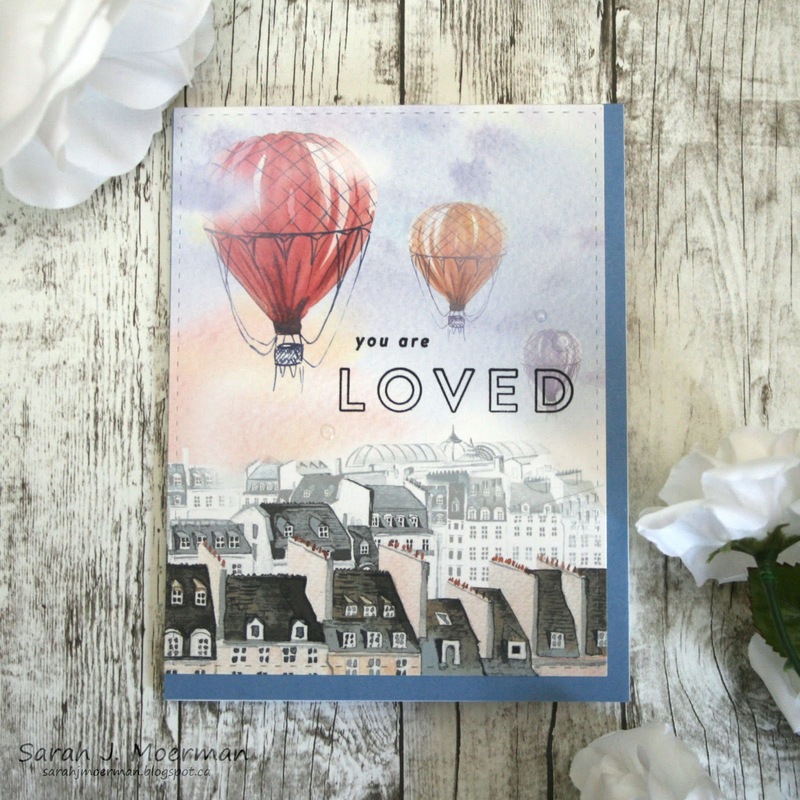 I assembled everything together and added stamped sentiments from Simon's Messages For Everyday Stamp Set. As a side note, I used coloured Sharpies on the backs of the Altenew dies themselves to keep track of which dies were for which flowers and to number the order of the layers. 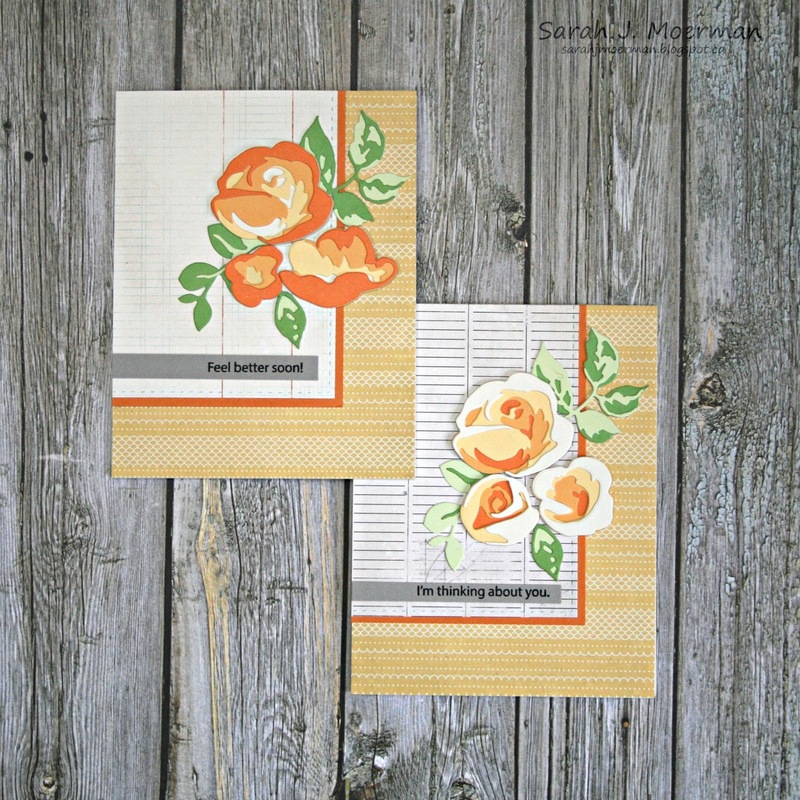 Now for the winner of the Simon Says Stamp June Card Kit. 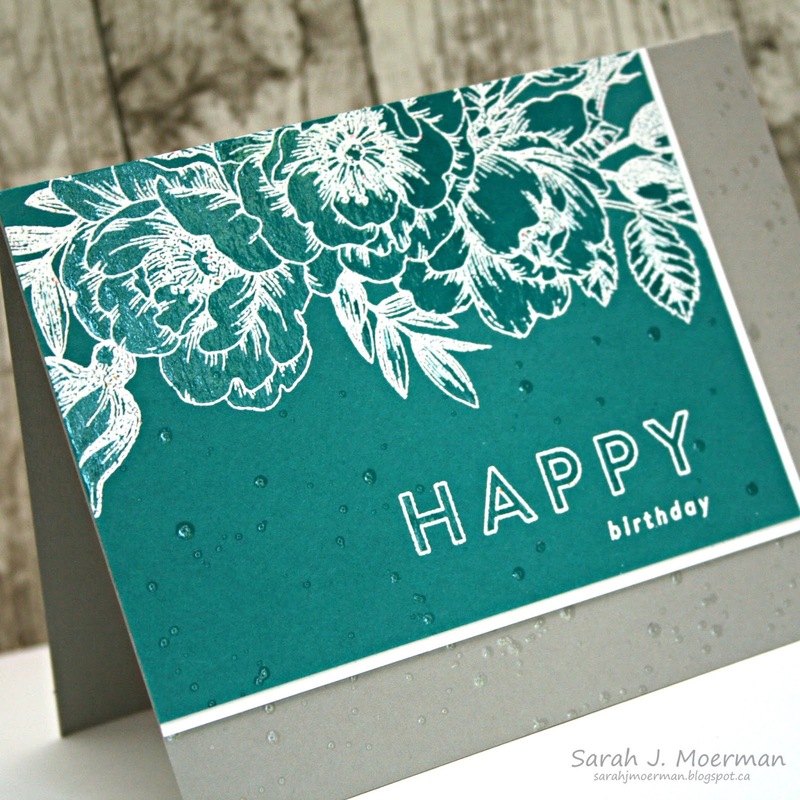 Such a great idea to water color the embossed pattern. 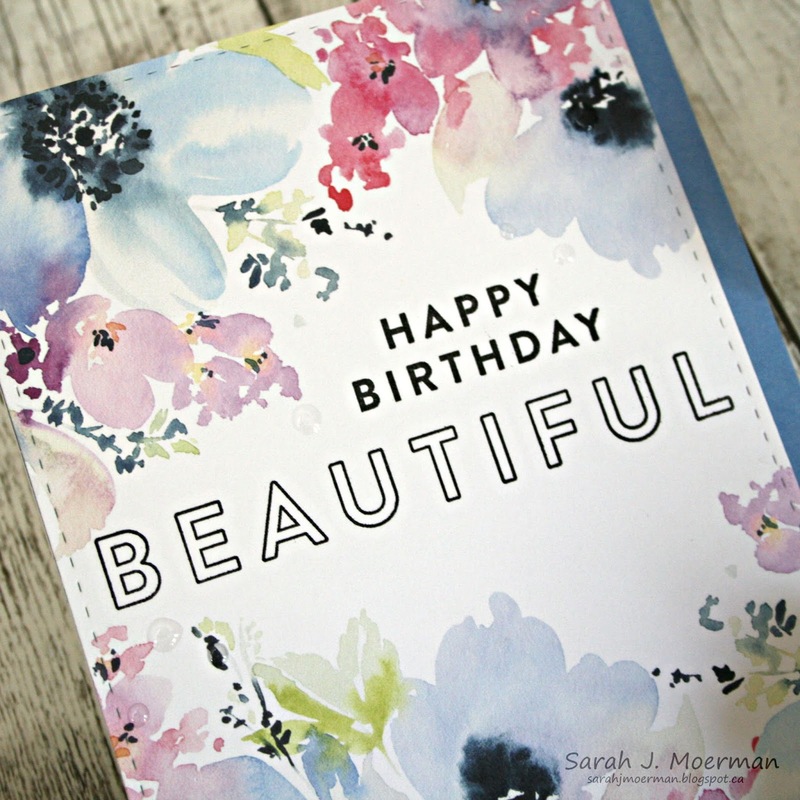 Your card is gorgeous. Congrats Diane! 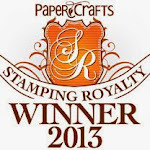 Please message me via my side bar with your mailing info so I can pass it on to Simon Says Stamp. SSS June Card Kit: Beautiful Backgrounds & GIVEAWAY! 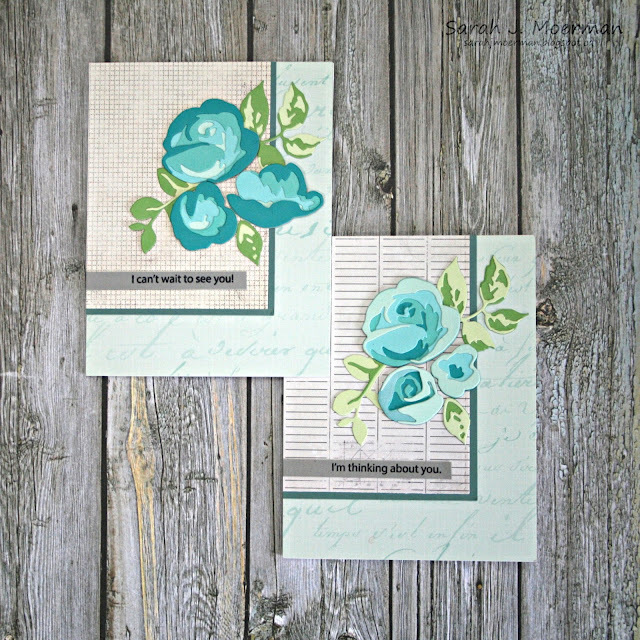 I'm popping by to share a set of cards made with the Simon Says Stamp June Card Kit. 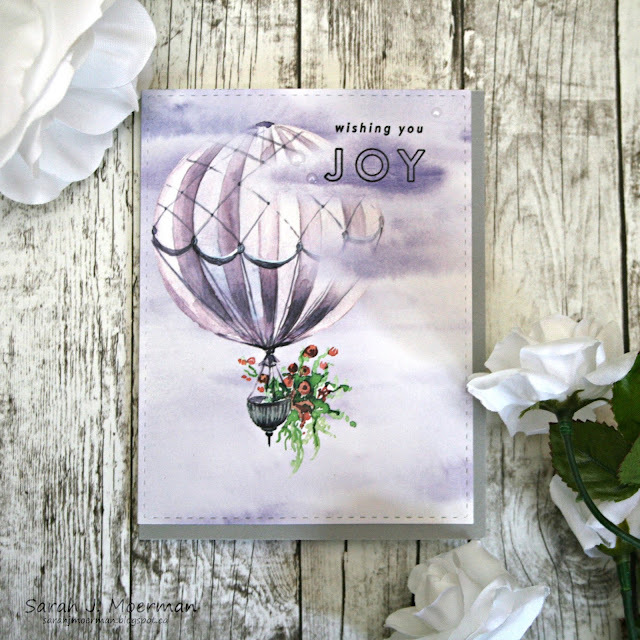 The ModaScrap Fly & Scrap Papers included in the June Card Kit are absolutely gorgeous and I wanted to let them play center stage for the card set I created for today. 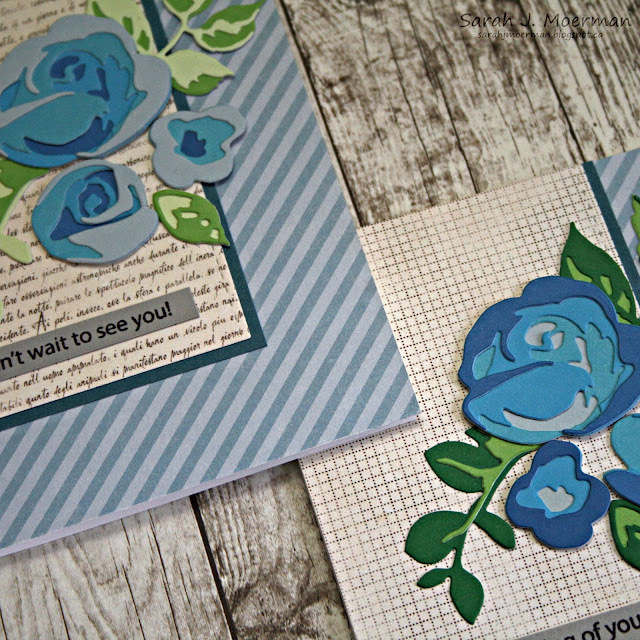 I die cut 6 of the papers with the rectangle from Simon's Bundle of Stitches Die Set, stamped sentiments from Simon's Beautiful Flowers Stamp Set, and adhered the panels to Simon's Peacock, Smoke, and Cornflower Blue Cardstocks that came in the kit. 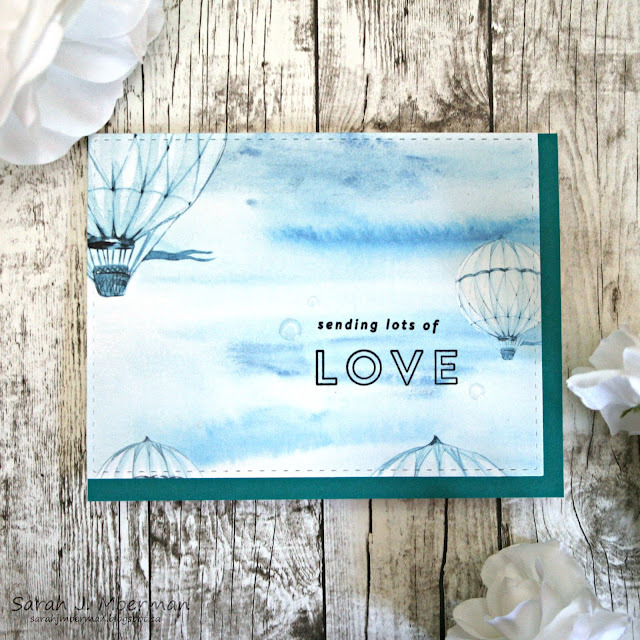 I finished each card off with some dew drops made from the Distress Resist Spray. The Simon Says Stamp June Card Kit sells for $34.99 USD + shipping. 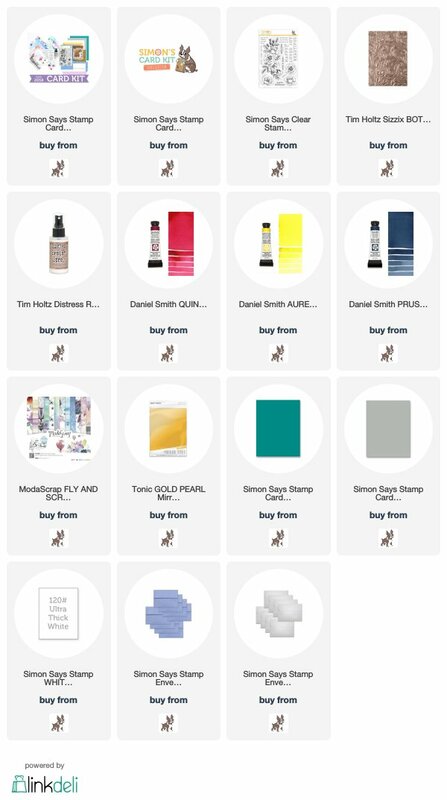 (***IT IS NOW SOLD OUT***). If you'd like to receive future kits for $29.99 USD + shipping per month, you can SUBSCRIBE HERE. 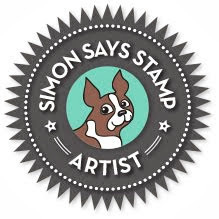 Heidi, owner of Simon Says Stamp, has given me an extra Simon Says Stamp June Card Kit to pass on to one of you! Just leave a comment on any or all of my June Card Kit posts and I'll announce a winner Friday May 25th. 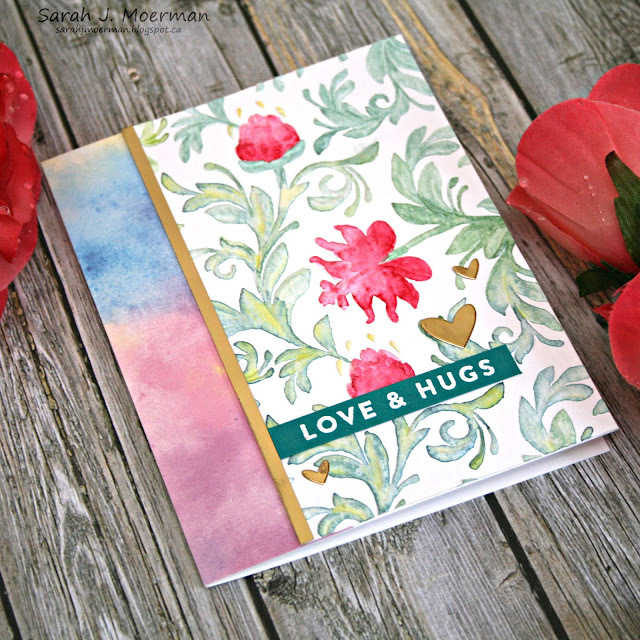 SSS June Card Kit Watercolored Embossing & GIVEAWAY! I'm back to share another card featuring the beautiful Simon Says Stamp June Card Kit. 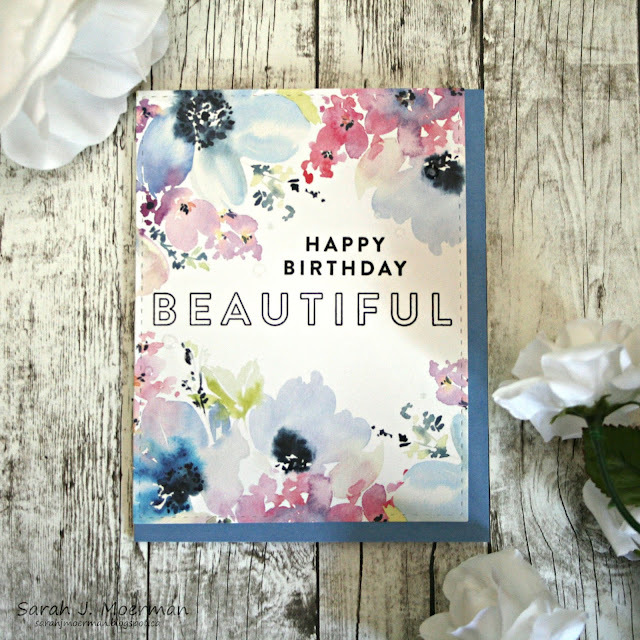 For today's card I actually took the Suzy's Watercolor Print (plain watercolor paper would have worked too!) and embossed the back of it with the Tim Holtz Botanical 3D Embossing Folder. 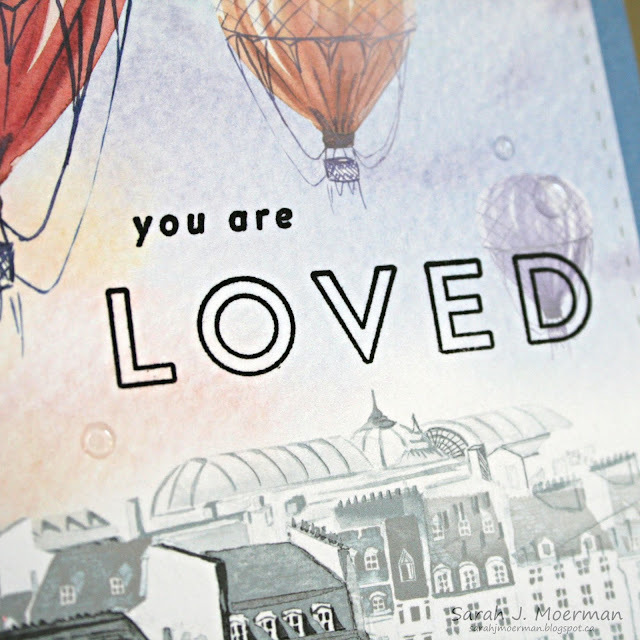 I then watercolored the raised areas with the Daniel Smith Watercolors that came in the Card Kit. Once dry, I adhered the painted piece to a notecard and added strips of the Modascrap Fly & Scrap 6x6 papers and the Tonic Gold Pearl Mirror Cardstock. I white heat embossed a sentiment from Simon's Beautiful Flowers Stamp Set on Simon's new Peacock Teal Cardstock. 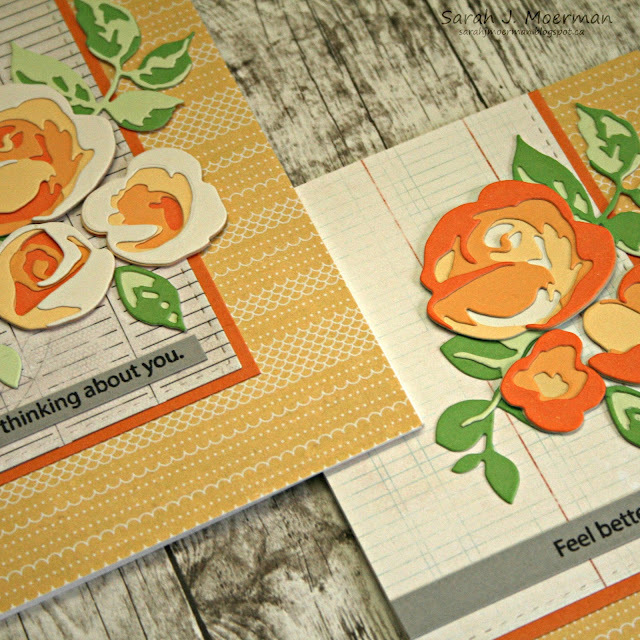 Finally, I finished the card off with Tonic Gold Pearl Mirror Cardstock hearts die cut with Simon's Clipping Heart Die. 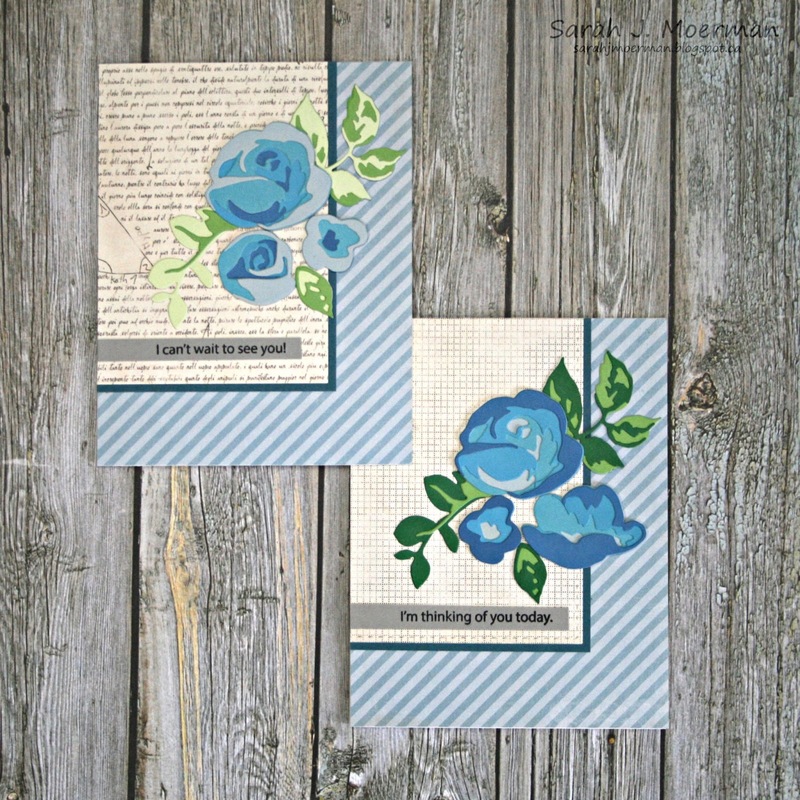 The Simon Says Stamp June Card Kit sells for $34.99 USD + shipping. If you'd like to receive this kit and future kits for $29.99 USD + shipping per month, you can SUBSCRIBE HERE. 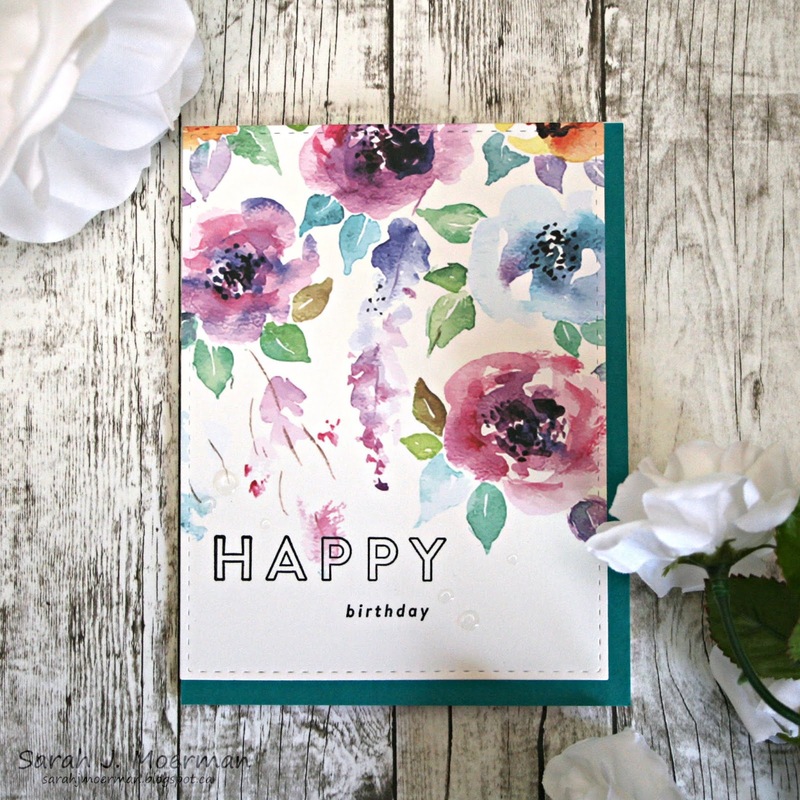 SSS June Card Kit Happy Florals Card & GIVEAWAY! I finally have a card to share featuring the beautiful new Simon Says Stamp June Card Kit. This month's kit has been so fun to work with, with the gorgeous Beautiful Flowers Stamps and ModaScrap Fly & Scrap Papers. The Distress Resist Spray has been really fun to use and try different techniques with. For today's card I white heat embossed the large floral image and a sentiment from Simon's new Beautiful Flowers Stamp Set onto their brand new Peacock Teal Cardstock. 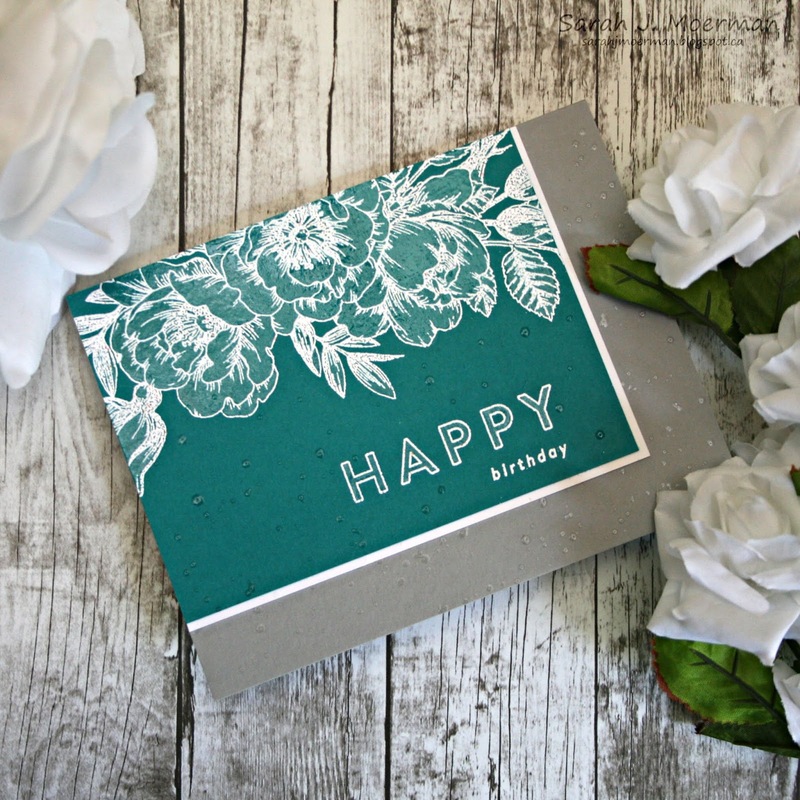 I then used a small paint brush to fill in the flowers and 'HAPPY' with Distress Resist Spray. Once dried, I matted the panel with some of Simon's White Cardstock and added it to a notecard made from Simon's Smoke Gray Cardstock. 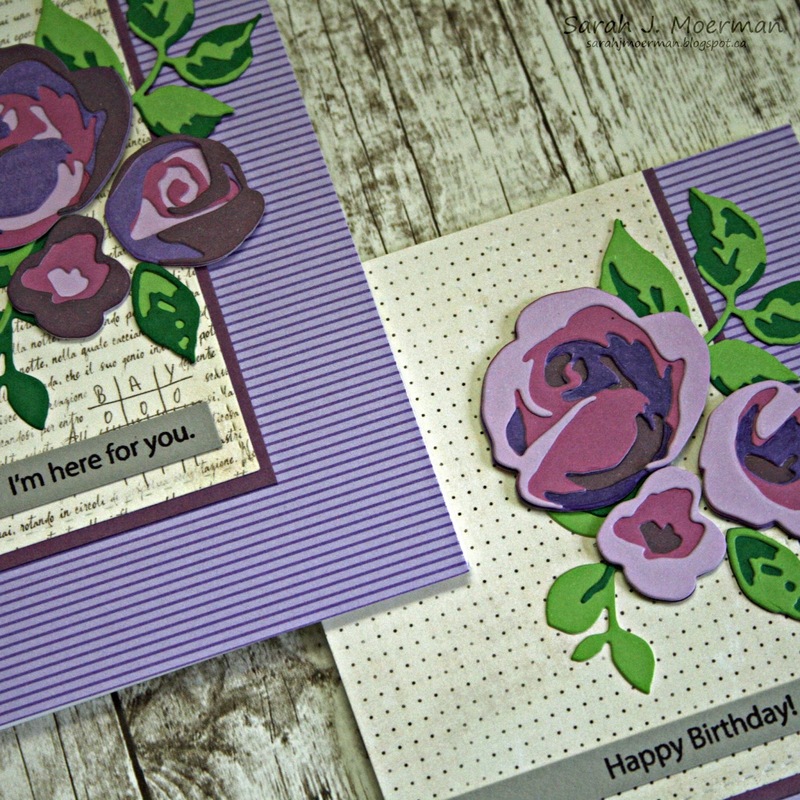 I finished things off by flicking some more Distress Resist Spray over the entire card. 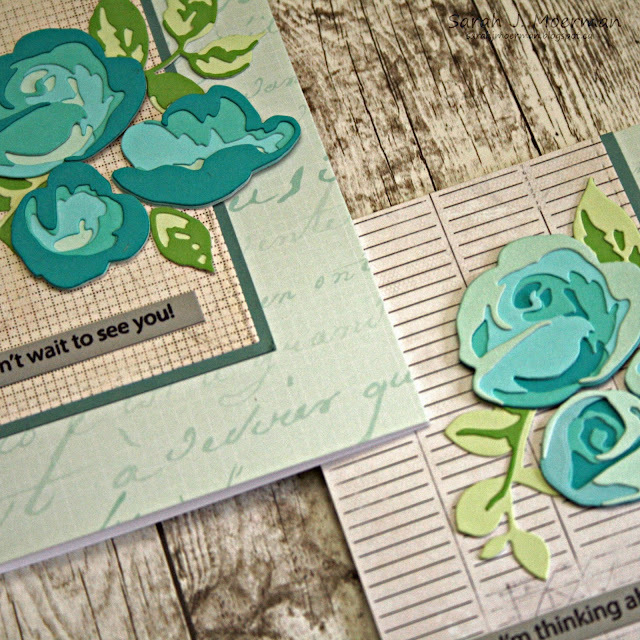 I love the look of it so much I'm hoping to make a whole card set with different colours. For today's cards I stamped the Bohemian Lace Stamp on Neenah Desert Storm Cardstock with VersaMark Ink. I added different colours of embossing powder to certain areas of the image one at a time (removing it from places I didn't want it with a paint brush) before heating the entire panels. 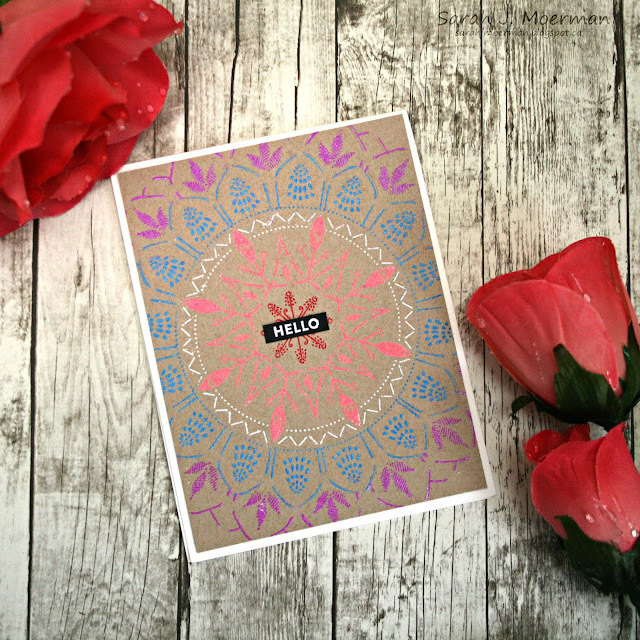 The sentiments from Simon's new Wreath Greetings and Four Seasons Sayings Stamp Sets were also heat embossed. 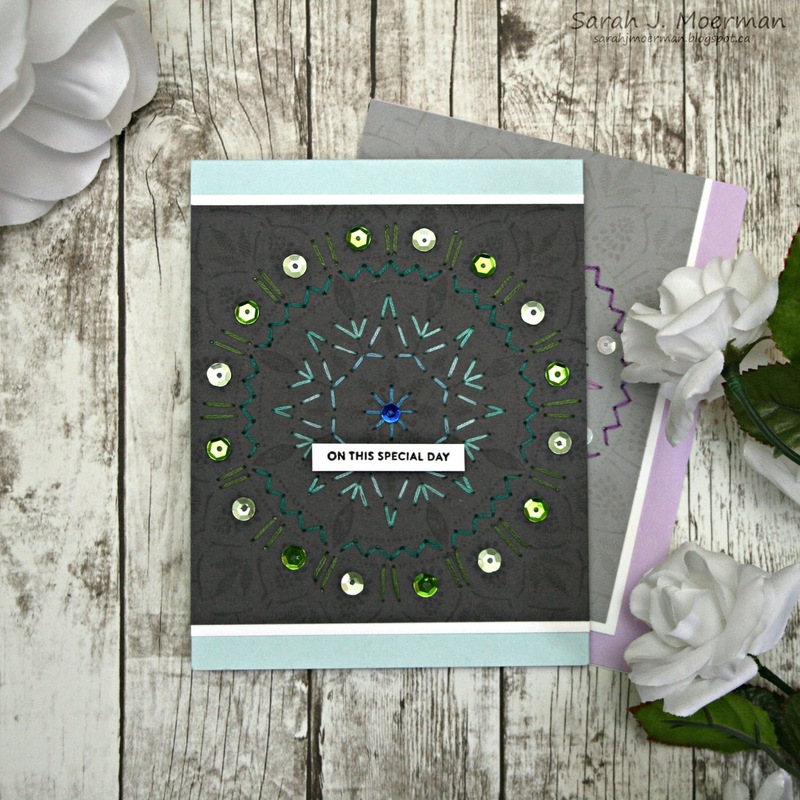 I used both Simon's Nested Circles Dies and their Luminary Circles Die to get the right sized matting I wanted for the second card. I also finished that one off with some Doodlebug Lily White Sprinkles. I hope to back soon with some cards featuring the Simon Says Stamp June Card Kit! Simon Says Stamp's Sending Sunshine Release is now live and features fabulous summery stamps, dies, stencils, sequins, and Suzy P's fun paintable prints. 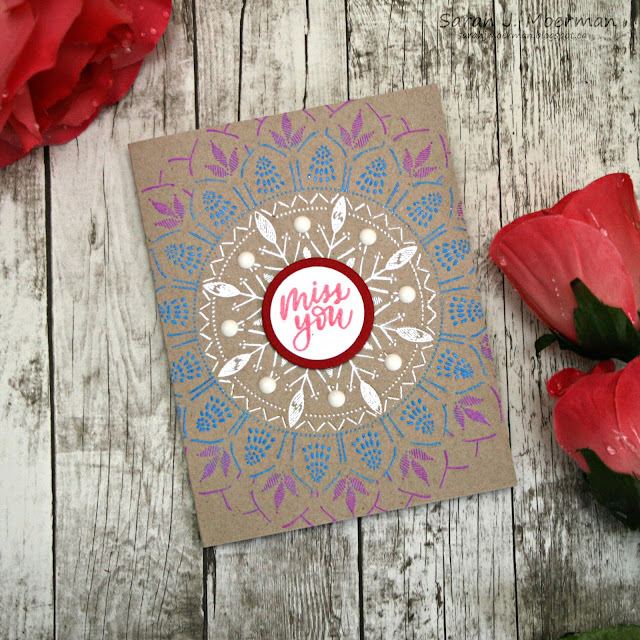 For the cards I'm sharing today I wanted to focus on the beautiful new Bohemian Lace Background Stamp. 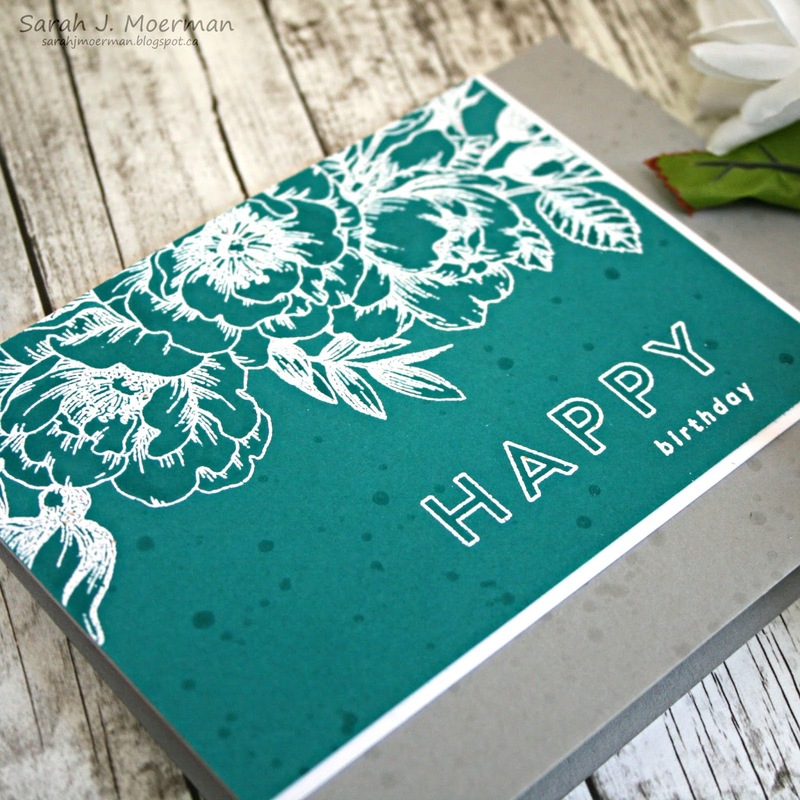 As soon as I saw this stamp my mind went to the possibilty of adding some stitching. 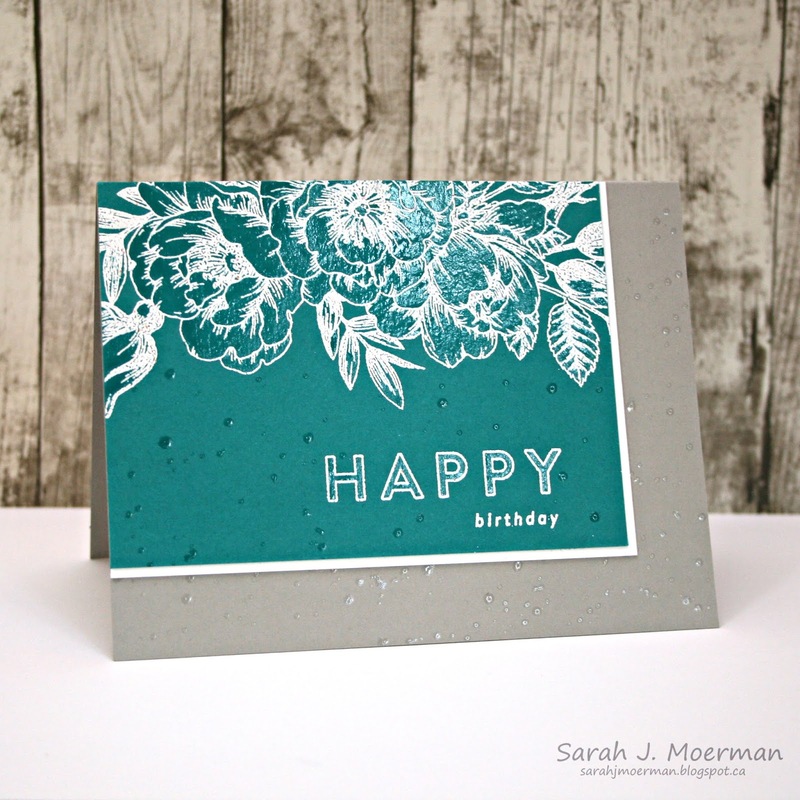 I stamped it on two different shades of Simon's grey cardstock: Slate and Fog with coordinating inks for a tone-on-tone look. 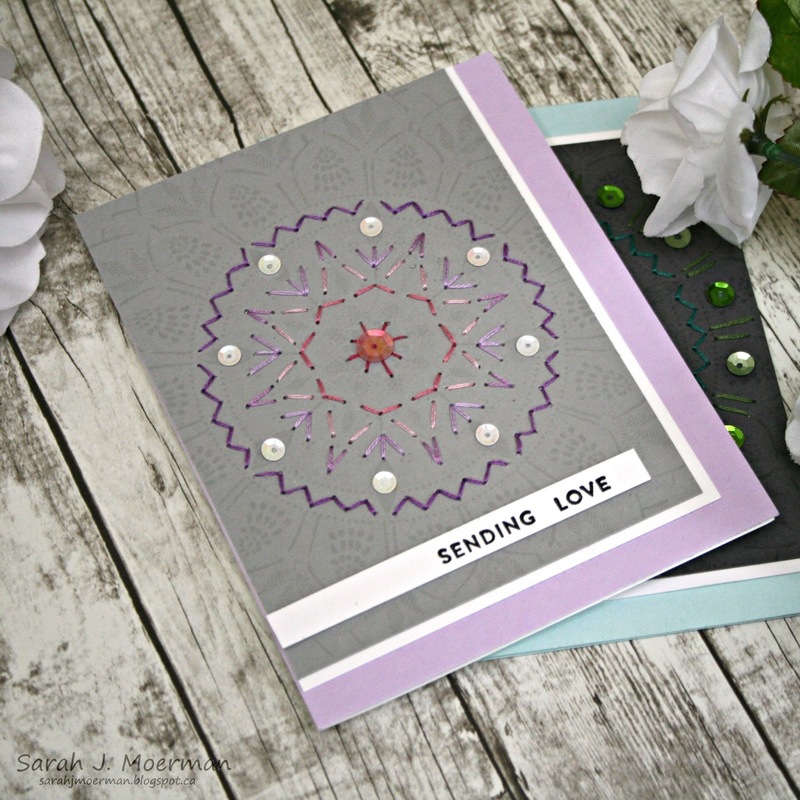 I used my paper piercer and a Sizzix Mini Secret Weapon Tool to poke holes where I wanted to put my stitching. After adding the stitching, I cut the panels down to size, added some white matting, and adhered them to Simon's Lavender and Sea Glass cardstock. I finished both cards off with some of Lucy's Abram's beautiful sequins. The sentiments are from Simon's new Wreath Greetings and Four Seasons Sayings Stamp Sets. Thanks for stopping by! I'll be by tomorrow to share another fun way to use the Bohemian Lace Stamp so be on the look out for that! Today is reveal day for the Simon Says Stamp June Card Kit: Fly Me Away and it is GORGEOUS! 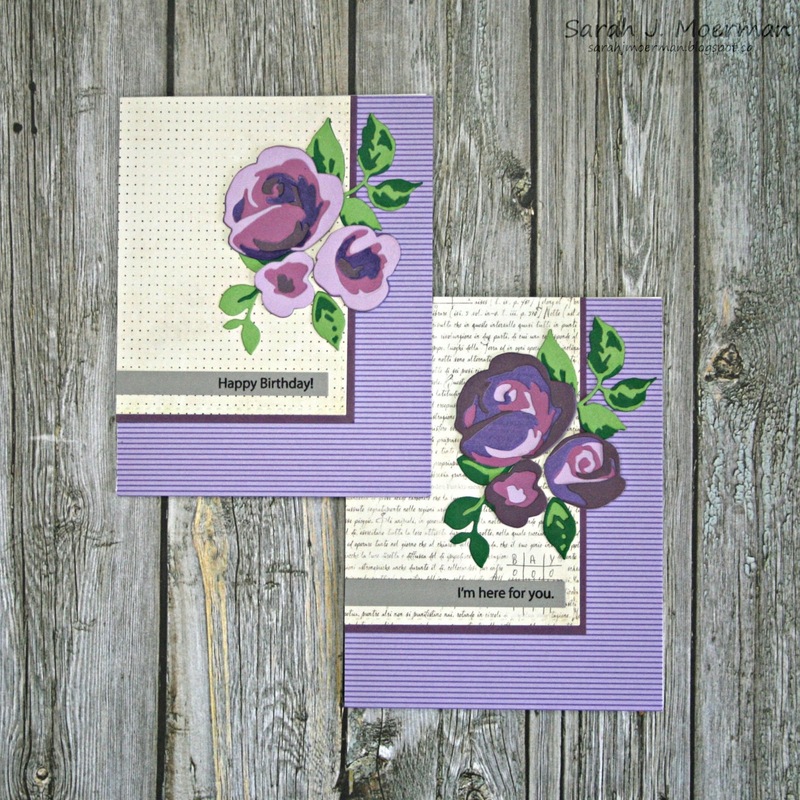 I'm loving the dreamy blues, purples, and greens with a touch of gold that the entire kit is themed around. 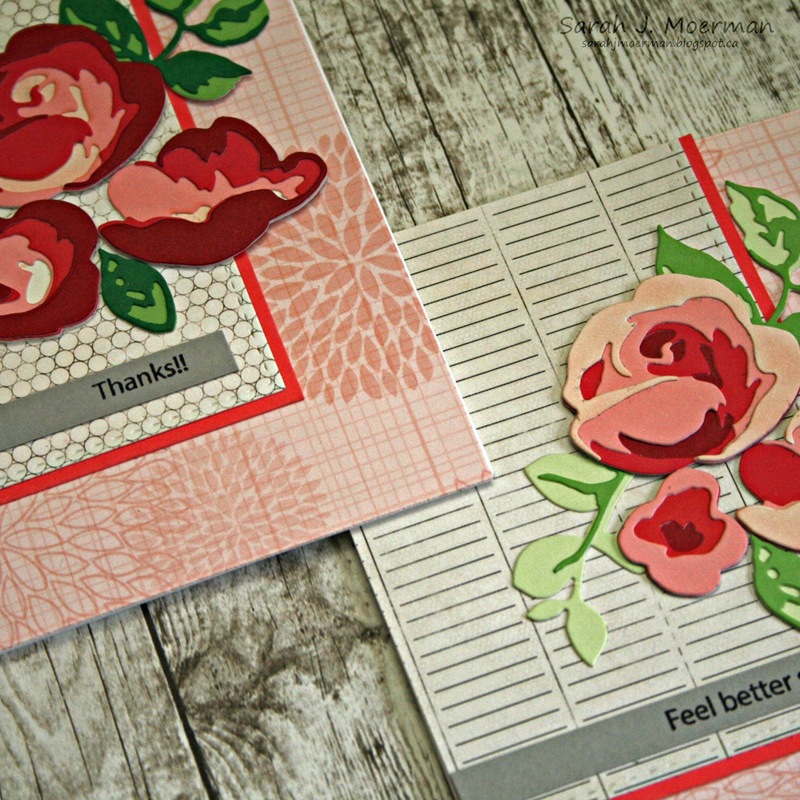 The ModaScrap Fly and Scrap patterned papers are gorgeous and new Simon Says Stamp Beautiful Flowers Stamps are STUNNING! 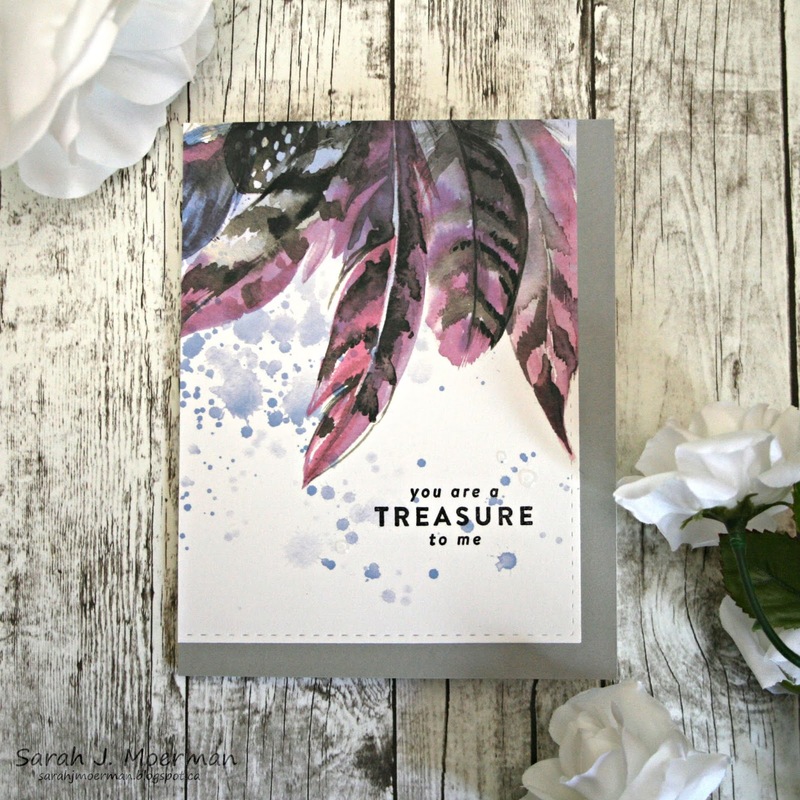 The Tim Holtz Sizzix Botanical 3D Embossing Folder is simply beautiful!